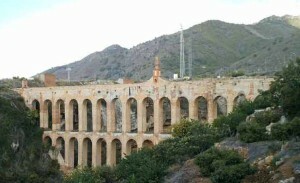 The aqueduct was initially built to supply water to the nearby Sugar Factory. 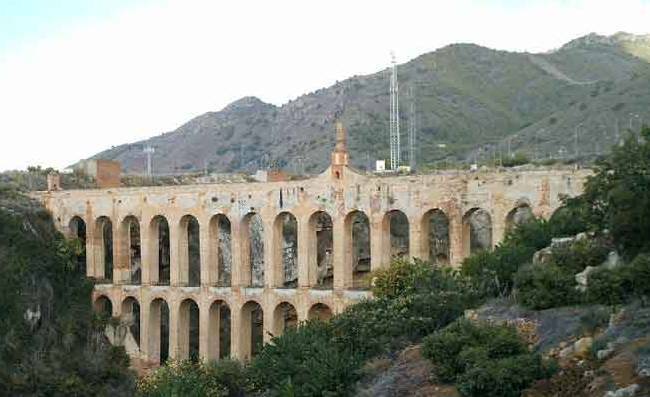 Located on the Barranco de la Coladilla on the Cazadores de Maro cliff, just 3km outside Nerja, is the XIX century Eagle Aqueduct. 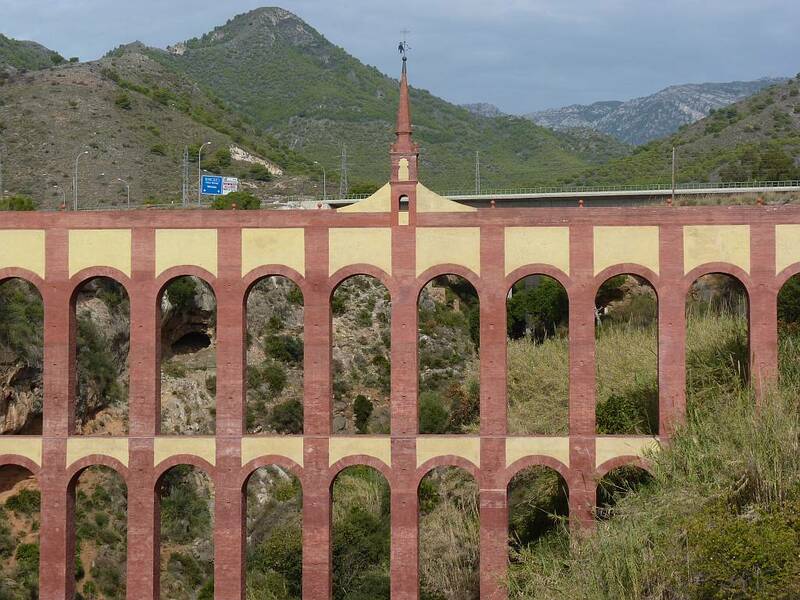 The "Puente del Aguila" (Bridge of the Eagle) Aqueduct is one of the most photographed images of Nerja and there is a great vantage point from the N340 Bridge where there is a purpose-built lay by in order to snap your pictures. Many tourists enjoy walking the short 10 minute walk from the eastern side of Nerja to the aqueduct. It was built under the direction of local master builder Francisco Cantarero and comprises four storeys of superimposed brick arcades with 38 arches. 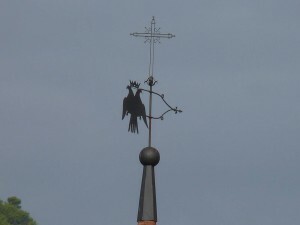 The facade was decorated with a gallery of blind, pointed horseshoe arches in the Mudecar style. 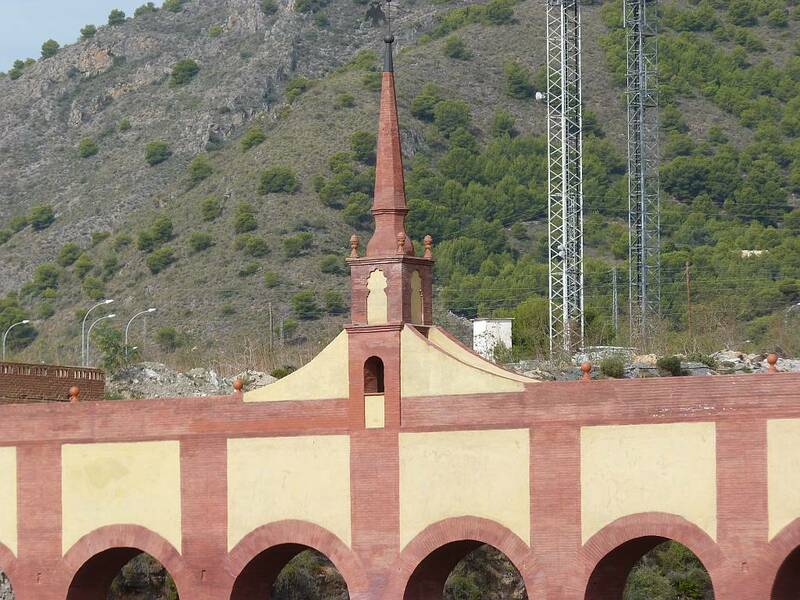 The aqueduct also features entrance templets on the top storey and a central templet with an inscription reading 'Pura y Limpia Concepción' (Pure and Clean Conception). The aqueduct was initially built to supply water to the nearby Sugar Factory, or San Joaquin Sugar Mill, there being a tradition of sugar cane plantations and construction of sugar cane mills in the area dating from the XVI century. 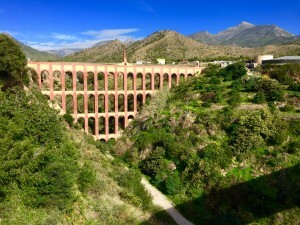 The Factory is long since closed but the aquaduct continues to be used for local communal irrigation. 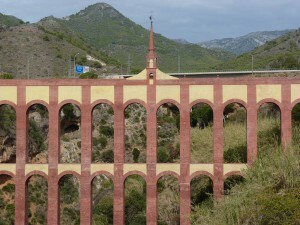 The aqueduct was damaged during the Spanish Civil War and was finally restored during the period 2009-11. This is what it looked like before the restoration.